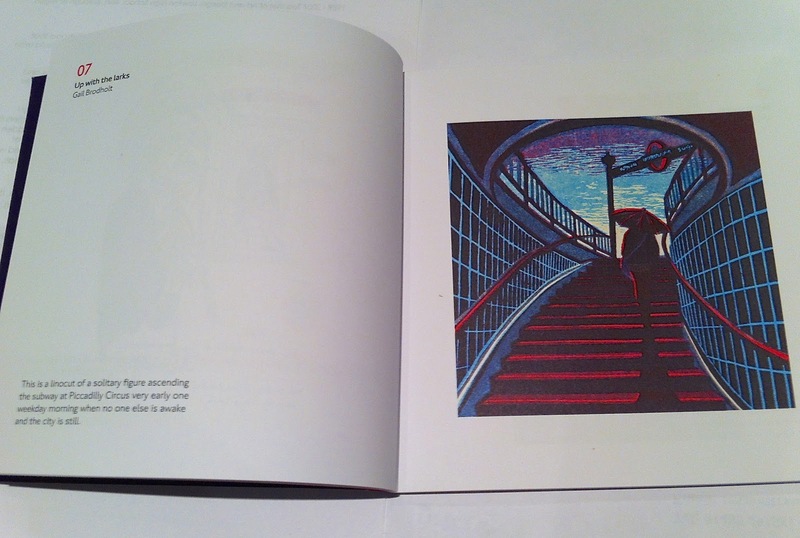 This is my work, Up With the Larks, and the blurb reads “This is a linocut of a solitary figure ascending the subway at Piccadilly Circus very early one weekday morning when no one else is awake and the city is still.” Not bad, even if I wrote it myself…. And if you’d like to buy a version as a travel-card wallet for £4.95 or even a poster for £24.95, they’re both available in the Museum shop. They’ve also produced a nice little book, illustrated with all the exhibits, for £7.99, also from the Museum shop. 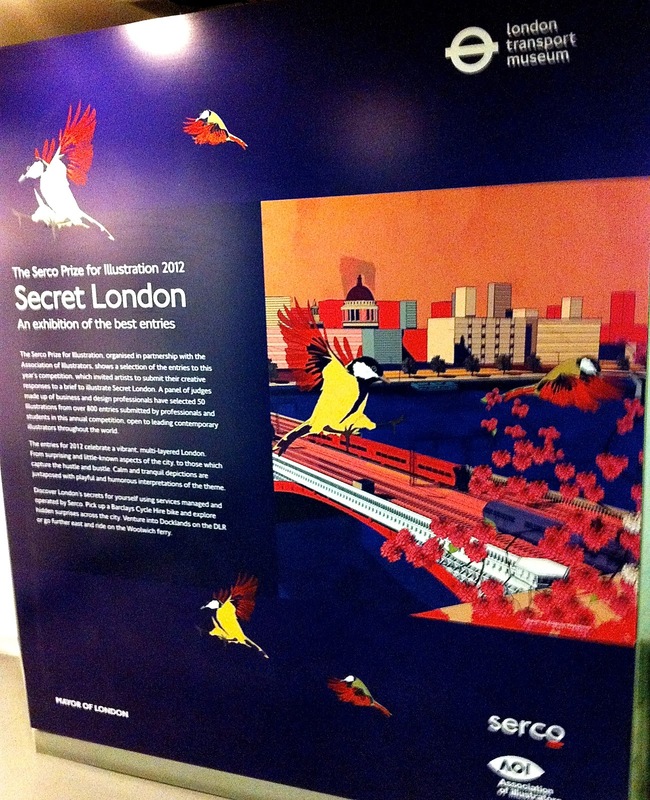 And that’s it for the Gail Brodholt Bonanza at the London Transport Museum. Just one last thing, though – if I could choose one thing from the Museum shop, my heart would always belong to the Routemaster moquette cushion. Well, a girl can dream….